Hello Everyone!! 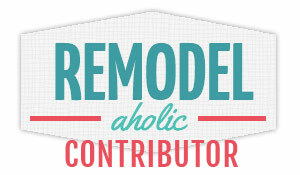 I am super excited to be guest posting today at My Repurposed Life!! Chick Here to see my full tutorial! I am jumping over friend! Such a beautiful family you have! 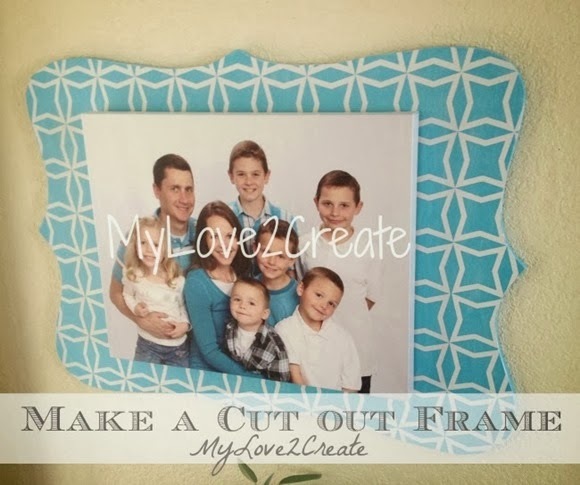 Such a cute project Mindi - and lovely family picture! Oops. Sorry. I guess I should have checked out the link-ups at our link party before I left you a comment. There you are ~ #1! Thanks for linking up your beautiful frame. 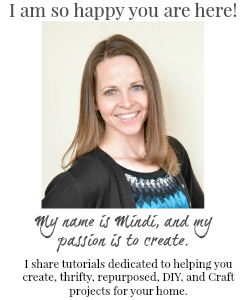 Hi Mindi, love the frame! & what a lovely family! Hope your having a great week! I love the pattern! So cute! Pinning for sure. And congrats on the guest post! Heading over the check it out now...thanks for sharing this on Twirl & Take a Bow, too! Love your projects!